Nope, not talking about the sounds that the buses make. This is more a symphony that we bring to our commutes. Using headphones to drown out what’s happening right in front of us. Having someone bust into song spontaneously. The good, the bad. You know the drill. Guy on bus says to girl next to me: “let’s pretend I was your next boyfriend.” Headphone volume: up 5 notches. Got on #SFMuni, accidentally made eye contact with old man. He started singing Wizard of Oz at me. ppl the J is not ur personal office where u can take speakerphone calls during ur ride to work! This week’s Things on Muni is brought to you by fellow riders @mariazilberman, @mamcart, @karlsf, and @SuperDee75. Be like these folks. Follow Muni Diaries on Twitter and let us know what’s happening in your corner of the transit world. 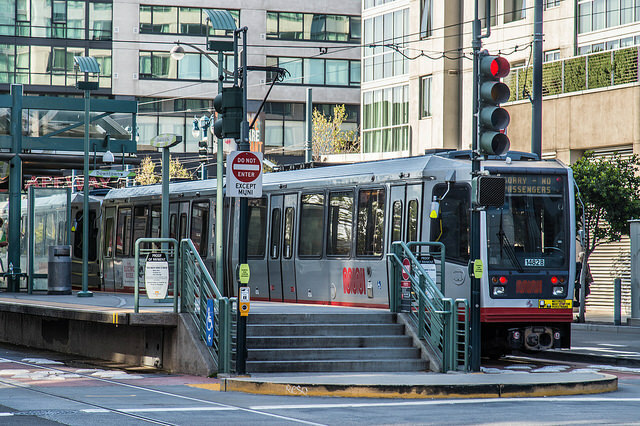 What this article is saying that for most Muni riders, my body is here but my mind is far away, grooving on what is coming out of my headphones!